Create and host website for free. Have you ever dreamed to have your own website but you don't have enough budget to buy a custom domain and host. Well, You are at right place. I am going to demonstrate you with the tutorial to create your own website free and easy with free hosting using custom domain. 1. Register domain with freenom click here to go to freenom website. After moving to website you have to register a domain So, enter Custom Domain you want for e.g Technologylaboratory.tk freenom offers websites with .tk, .ml, .ga , .cf that can be registered for free. No .com domain is provided for free So, the option is we have to choose from these top level domain. click the drop down arrow and select 12 months free and then continue.You have to fill a form and your domain is finally registered. I prefer blogger in this tutorial. Blogger is also a kind of web hosting service where we can write blogs and whatever content we want to keep. 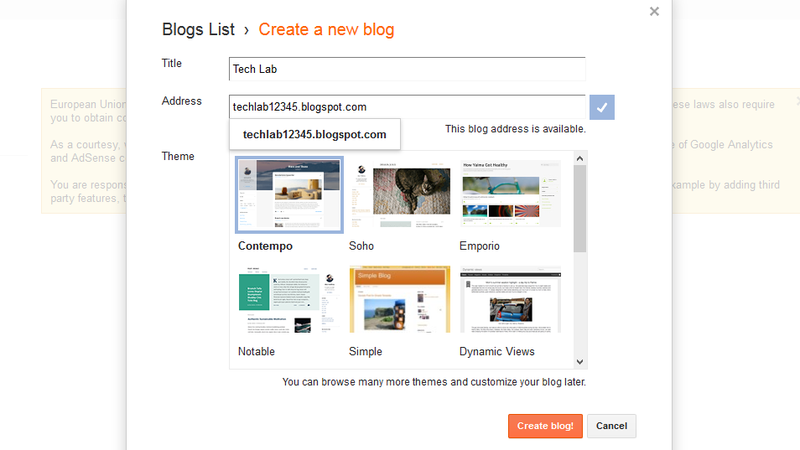 Blogger is a product of google and has a simple interface. We can earn by merging ads from google adsense in our blog with blogger easily. 2. Hosting a website with blogger. Blogger is a blogging platform with simplified interface and easy for beginners. Most of the websites are hosted on blogger or wordpress. Wordpress is also a great platform but we had to pay for hosting a website with custom domain. Login with your google or gmail account. Now right click on the create blog. 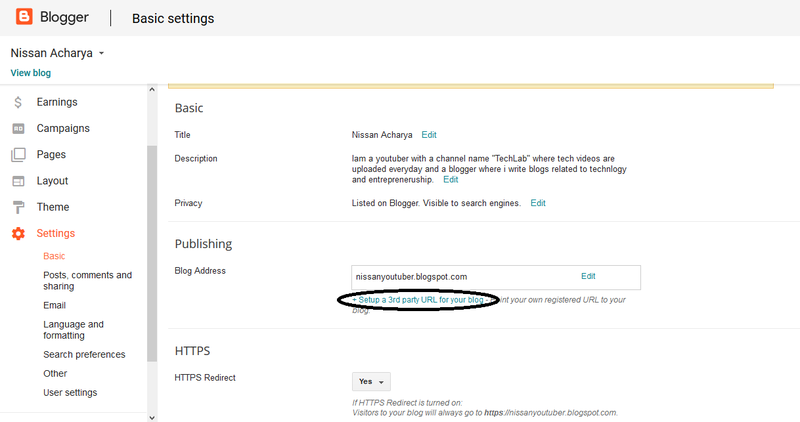 Finally, after registering a domain and creating a blog the final part is merging your custom domain with blogger. So ,Go to basic setting. 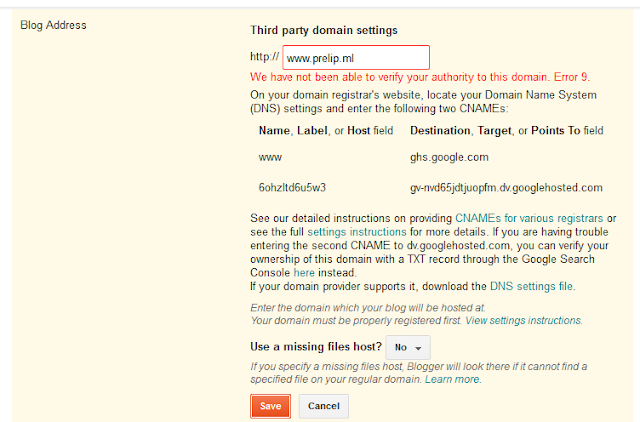 After entering your url a dialog box appears with two CNAMES which should be entered in your DNS setting of your website. So, In order to configure DNS setting we should go to freenom website you can click here.